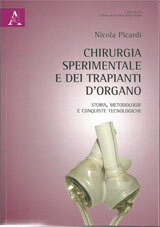 The Digital edition of Annali Italiani di Chirurgia has been officially registered by the Italian National Research Council (CNR) with l’ ISSN 2239 – 253X, and comes aside to the print edition. It is divided into two distinct Sections. All articles published in print since 2000 are part of the Digital Section, and can be read by all visitors to the site, regardless of the possession of the old password granted until 2011only to subscribers. The innovation introduced in 2011 was the activation of the Section on-line, where the immediate publication of each article follows immediately after the restitution of the corrected proofs to the publisher. This on-line publication keeps the value of bibliographic citation and retains that of the Impact Factor of the journal, because It represents the parallel Digital Edition of the magazine, and is preliminary in principle to the future printing of the article in one issue of the journal. 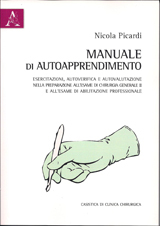 Not all articles published on-line are intended to be printed in an issue of Annali Italiani di Chirurgia, but at the moment only those with the procedure AOP (aheadofprint). 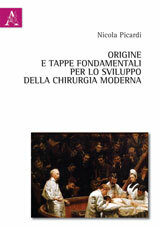 Other articles, mostly related to clinical cases, may be published on-line adopting the EP (e-publish) procedure , which does not foresees their printing on a future issue of the magazine, but has the advantage of the complete conservation of the colors in the iconography without increasing budget. 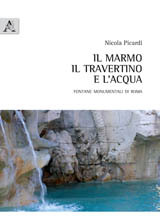 The publication AOP has to be specifically requested to the Director (nicola.picardi@gmail.com) with L1 Model signed by the corresponding Author when returning the corrected proofs to the Pozzi editor. The EP publication can be instead offered only by the Director, and if openly accepted by the corresponding Author, the manuscript with all its iconography is delivered to the publisher Pozzi for editorial processing. Upon the return of corrected proofs to the publisher is required to send to the Director of Model L2 signed by the corresponding Author. The non-acceptance of the proposed EP procedure is equivalent to renouncing the publication The online publication with each of the voluntary procedures AOP or EP, provides quick insertion of articles in Digital Edition, immediately after the return of the proofs and the settlement to the publisher, and within 48 hours the citation in Pub Med. 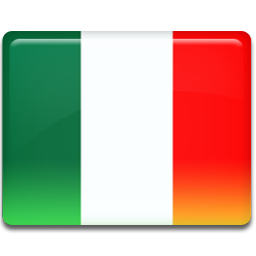 To enable each of those procedures is required to return to the Director the Model L1 or L2 signed, and for each article a special contribution of € 160.00 (INCLUDING VAT) to be sent by bank transfer to the Manager AD HOC SOLUTION SRL on c / c UniCredit – IBAN IT42B0200805055000105199899 (BIC/SWIFT: UNCRITM1B09) for the maintenance of the site, at the time of the return of proofs to the publisher. IMPORTANT: THE NUMBER OF THE ARTICLE FOR WHICH THE PAYMENT IS CARRIED SHOULD BE REPORTED IN THE CAUSALE OF THE BANK TRANSFER. After the payment the authors must send an email to annitalchir@adhocs.it with the article number for which the transfer was made and with the personal informations of the person who made the transfer (name, surname, date and place of birth, nationality and if Italian C.F. and P.IVA). The Authors who require the rapid publication on-line of their article can also benefit of a special price granted by the publisher Pozzi for a new subscription to the journal, in favor of one of the Authors of the same article, whose name and mail address shall be indicated from the corresponding Author in the same form L1 or L2 to be required to the Director when asking the quick publication on-line. It is possible to buy a single article of the digital section, including those published on-line, with the payment by credit card of € 25,00 clicking on the required article. The framework of scientific recognitions of the journal has been extended with the review of the printed articles also by Scopus (Elsevier), that sums to the reviews on Pubmed, Medlars, Medline, ISI Master Journal List, Science Citation Index Expanded. 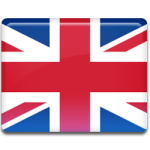 The exclusive adoption of the English as the official language for the articles to be published, beyond the mandatory English Abstract and the Italian “Riassunto”, is designed to expand to the entire international community distribution of publications of Annali Italiani di Chirurgia.